I use to love peanut butter and jellies. Actually, they still taste delicious sometimes when I’m needing something simple. But the kind I use to make weren’t necessarily the healthiest. Jellies packed with processed sugar, peanut butter packed with vegetable oil, sugar, and sodium, and I can’t forget that delicious, hearty white bread. Now I usually turn to Ezekiel bread, homemade raw nut butters, and fresh fruit for my healthy spin on a PB&J. But let’s get back to the real reason of this post. Today was game day down here in sunny Gainesville, FL, aka, the swamp for my fellow gators! I was feeling so dehydrated after the game, that I knew I needed to eat something substantial yet refreshing. This was the perfect match. My first order of Casein protein powder also just came in! So I decided to try it out in this lovely shake. 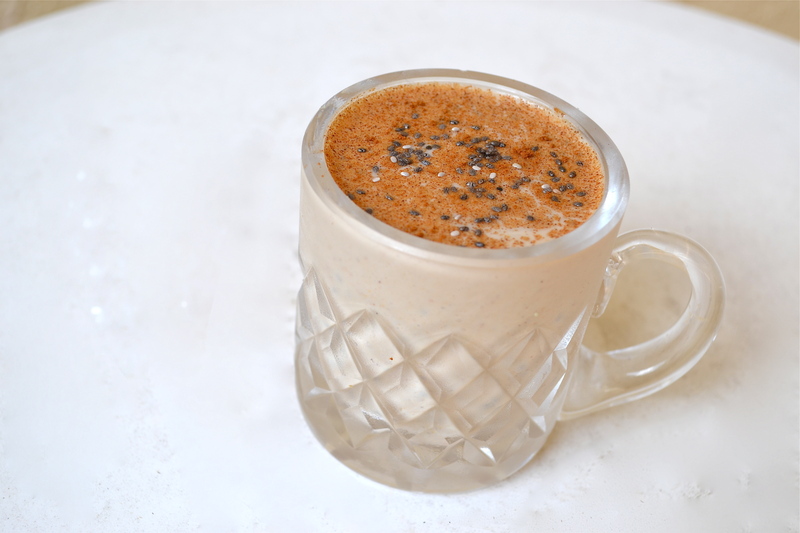 The mix of the French Vanilla powder, coupled with the peanut butter and strawberry flavors, was spot on. I couldn’t have asked for a better “post-game” refreshing yet satisfying drink! 8) High in fiber: protects from intestinal problems and also slows absorption of sugars in the blood. 10) Promotes prenatal health: High in folate, which is recommended for pregnant women or women trying to conceive. Yes, another competition. A burger one. But this girl doesn’t eat real burgers much, so in order to participate, I made a couple of unique “burgers”. No burger was actually involved. Haha, I’m not sure if that totally defeats the burger name, but I seem to think not. 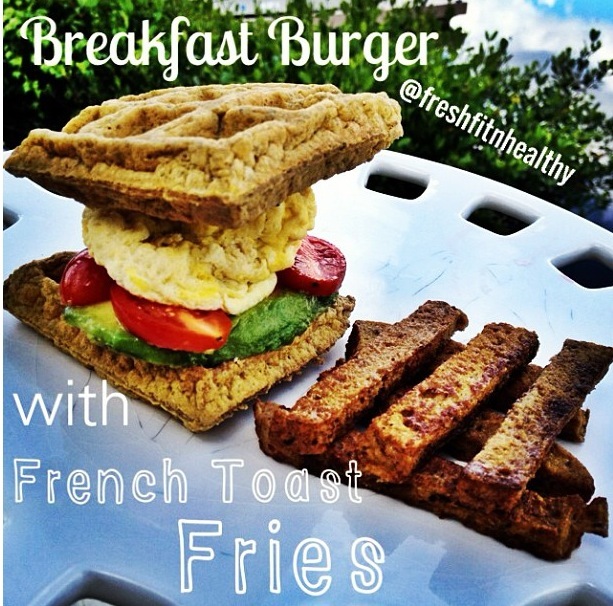 One was a breakfast burger, made with waffle buns and egg. And guess what came with the breakfast burger? French toast fries!. The other burger used apple “grilled cheese” buns with a chicken burger. Have you ever had apples and cheese together? It’s a great mix! Very interesting combinations, and very delicious outcomes. 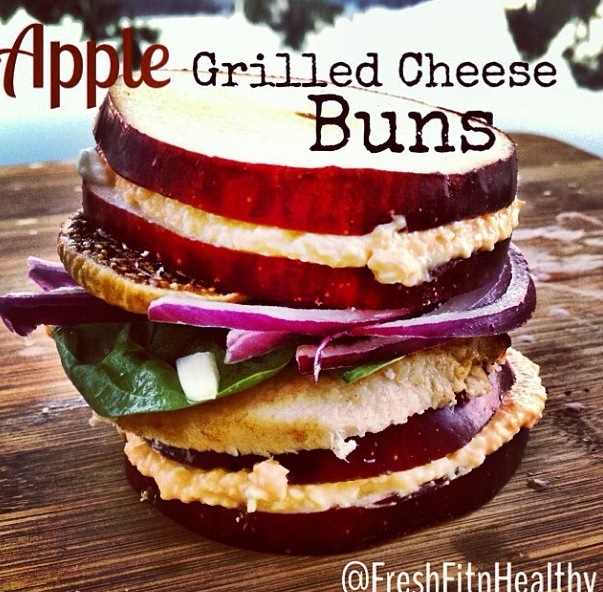 If you want a healthy yet fun spin to the typical burger, these are surely ones to try! Directions: Combine all waffle ingredients and cook in waffle maker until browned. Place cooked egg, avocado, and tomato slices on 1/4 of the big waffle. Place another 1/4 on top. Save other half of waffle for another day! Cut bread into 4 slices. Combine milk, egg white, and honey in shallow bowl. Soak slices of bread in mixture and cook in pan on stove until all sides are browned and crispy. Serve with burger. Directions: Mix 2T each of cottage cheese and cheddar cheese together. Place between two apple slices. Repeat with other 2T and 2 apple slices. Place in pan on stove on medium high heat until cheese is melted on the inside of the “grilled cheese”. Place on “grilled cheese on plate, place burger, fig, spinach, and red onion on it, and top with other “grilled cheese”. Fall is almost here..and you know what that means! Lots and lots of pumpkin recipes! 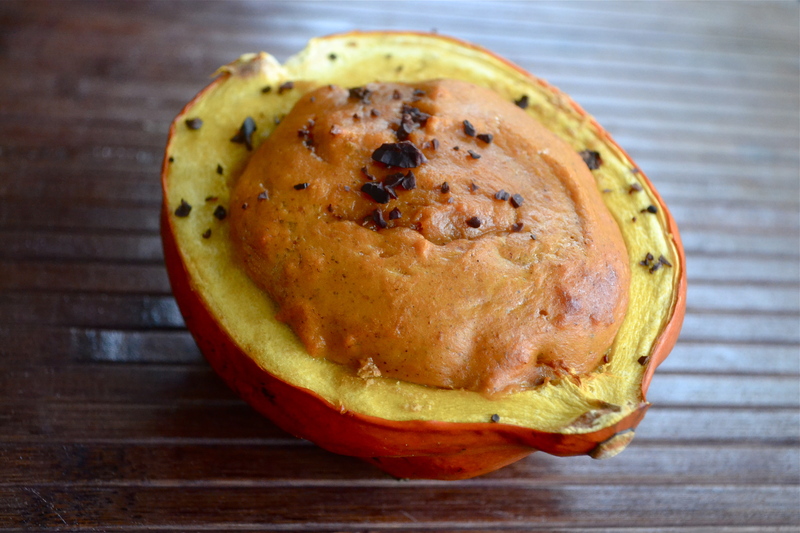 I have always seen people bake something inside of a squash, and have always wanted to try it myself. Yesterday, when I finally found time in my busy college schedule to get back in the kitchen for a couple hours, I knew exactly what I wanted to try. Directions: Preheat oven to 350 degrees F. Drizzle squash will a touch of coconut oil, and place half into preheated oven for 10 minutes. While in oven, combine all other ingredients in a bowl. Add more sweetener if desired. Remove squash after 10 minutes. Pour pumpkin pie ingredients into the “bowl” (deep portion) of the squash. 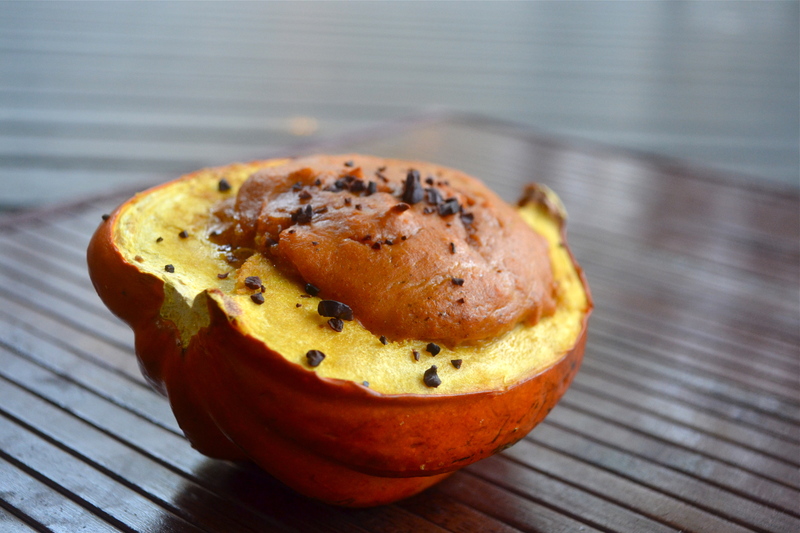 Bake in oven for 15-20 minutes, or until squash is slightly soft and pumpkin pie filling has formed a browned top. Enjoy! 1)Iron rich, comparable to red meat! 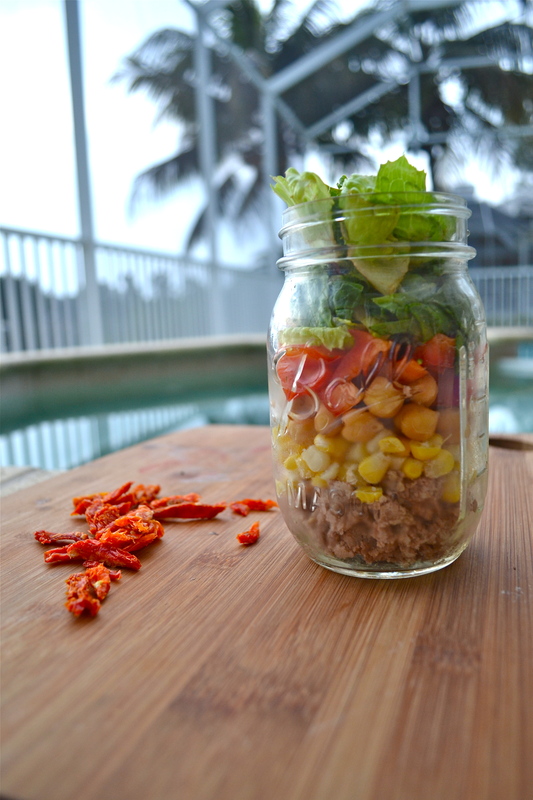 Raising the Bar on Food in a Jar. Mason jars used to be just for canning – but now they may be more likely used for overnight oats. How do you do food in a jar? I’m raising the bar on food in a jar today. 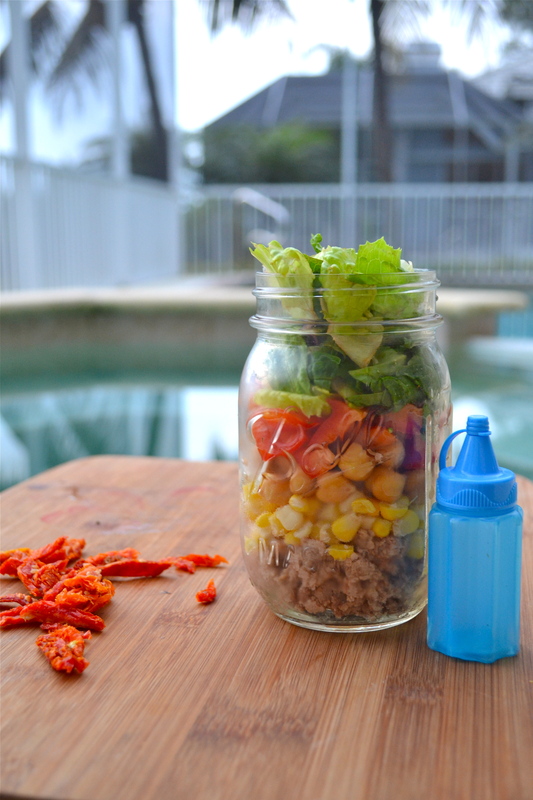 Did you know that jars are the perfect way to bring salads on the go? Those giant 32 ounce mason jars are perfect for this. 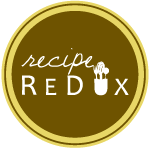 When Recipe Redux released it’s theme this month as food in a jar, I knew what I wanted to do! Salads are the perfect summer meal. Cool, crisp, and refreshing. Oh, and did I mention, an extremely healthy option? However those taco salads you can order out, are usually anything but nutritious. Did you know that a simple chicken taco salad at Taco Bell is over 750 calories and 60 grams of fat?! That is what scares me. People think salad, and they think chicken, and order a meal like that, thinking that they are eating healthy. Unfortunately, choosing to buy rather than pack your lunch comes with a big price. This is why I have created a healthy option that still has all those delicious flavors. But with not near as much fat. Or calories. I’m not one to keep count of the calories I eat, but over 750 for a simple salad?! I knew there must be a better option. Meet my 32 ounce mason jar. It is one of my best friends when taking food on the go. I fill it with smoothies and shakes to take with me all the time (like this or this one), but I decided to spice it up from the typical smoothie today. 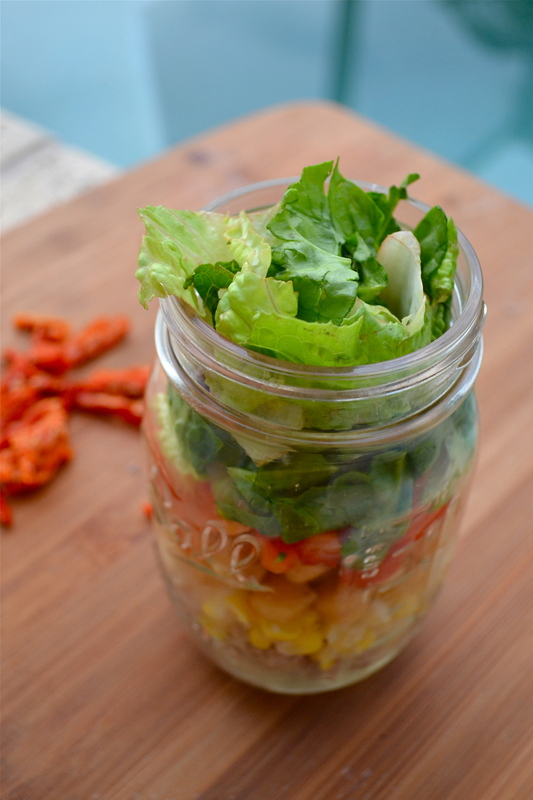 Mason jar, meet delicious salad. Ground turkey instead of beef, chick peas instead of the typical beans, fresh raw corn. All the flavors you love about a taco. Without the greasy shell. But you may ask, how do you keep your salad becoming soggy? Meet my mini bottle used to carry salad dressing. I found a pack of 3 of these for only 2.99! 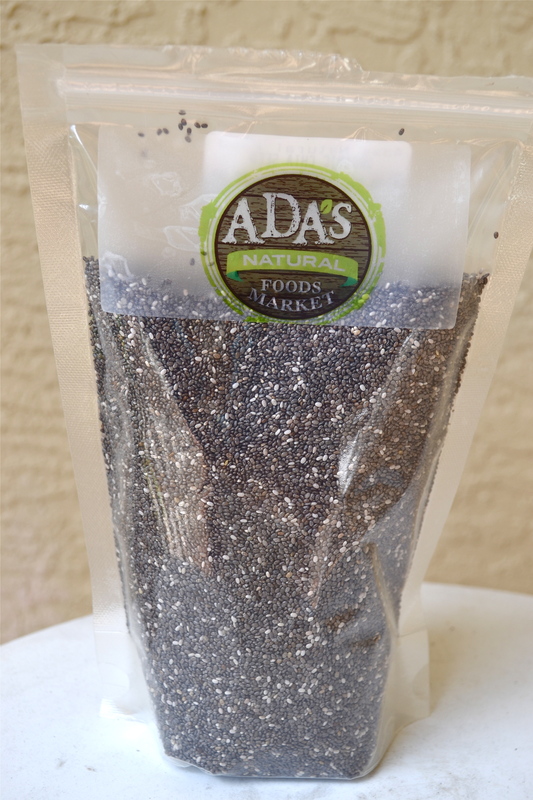 They are the absolute best for salads on the go, as you keep the salad dressing off the salad until just before eating :) Fill it with dressing of choice, or even just some salsa to go on top of that salad. Whichever you would like. No mater what you choose, you win when you pack this salad to go. 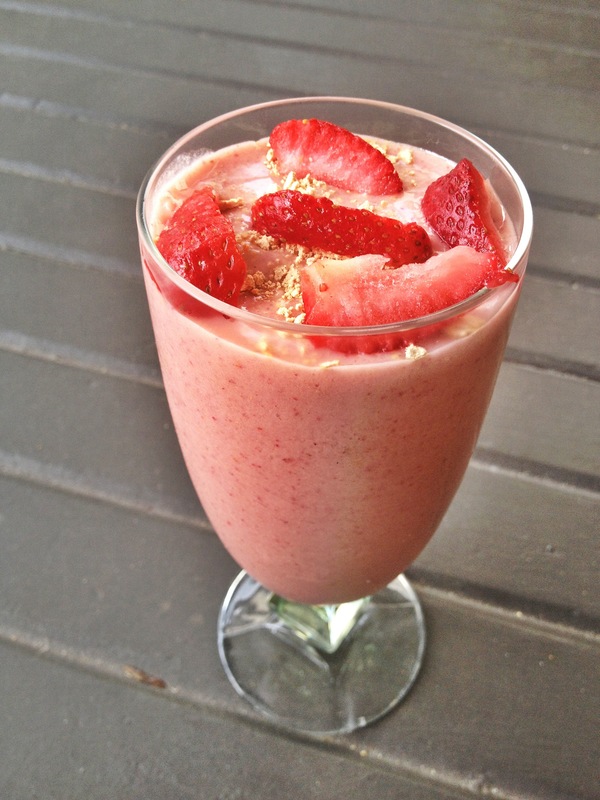 This is made with a secret ingredient.An ingredient that you might not suspect would be in a dessert. But it is. And it was what made this recipe so absolutely delicious! 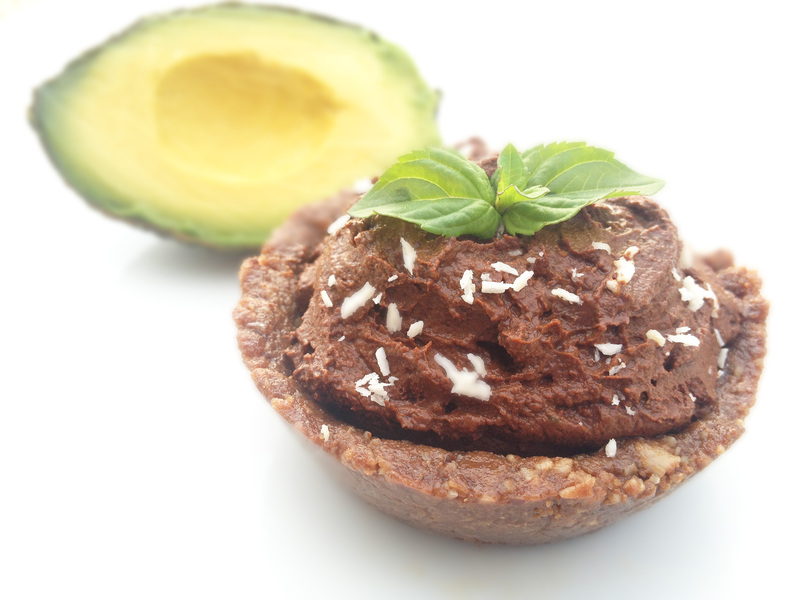 Because of my last post you may have guessed, but the answer is yes it’s avocados! If avocados are “The World’s Most Perfect Food”, than why not attempt to incorporate it in things other than your typical guacamole! Avocados are a perfect summer ingredient for foods as they hard high in fiber and healthy fats that keep you satisfied and slim. Like you can see here, they are perfect not only for savory dishes, but sweet! Why use full fat cream in a dessert when you can use an ingredient that will give you the exact same texture, yet filled with only healthy fats?! How is your favorite way to use avocados?? I would have said the typical guacamole, or simply just sliced with sea salt a week ago, but after getting creative in the kitchen, I’ve realized the sky is the limit in using avocados! Did I mention, the filling for this tart can also be eaten on its own as a rich mousse, which is absolutely incredible! Directions: Place all Tart ingredients into Food Processor and Blend until a crumbly dough forms. Using mini tart pans,, place a handful of dough into the bottom of each ramekin (makes 4), and press up the sides (make sure to leave a thick enough bottom). Freeze for at least 20 minutes. 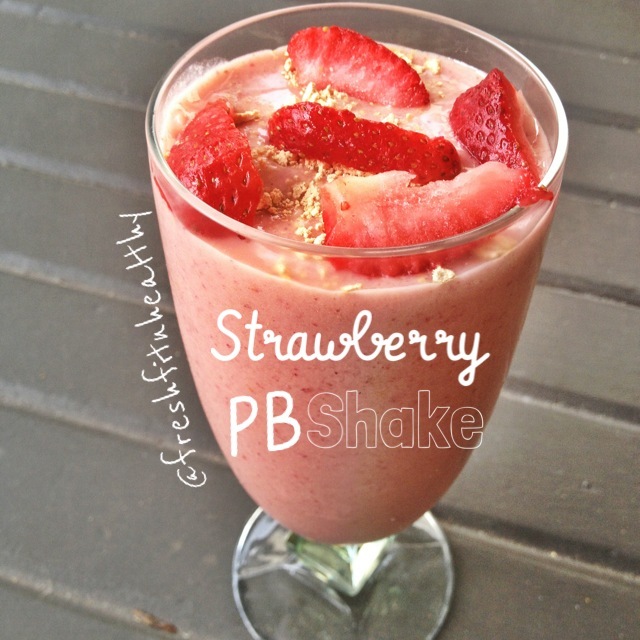 Blend all Filling ingredients in a high speed blender or food processor until smooth. Fill mini tarts with filling, and place in freezer for about 10 minutes. Serve cold. 1) Filled with Monounsaturated Fats: types of fats that help control triglycerides in the bloodstream, lower blood cholesterol and control diabetes. 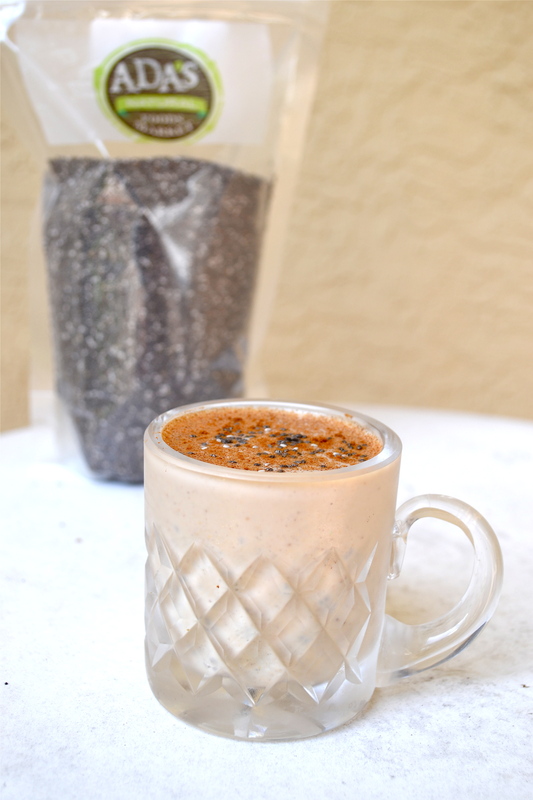 3) Provides all 18 essential amino acids necessary for the body to form a complete protein. Unlike the protein in steak, which is difficult for most people to digest, the body readily absorbs avocado protein because avocados also contain fiber. 5) Contains Lutein: a carotenoid that protects against cataracts and certain types of cancer, and reduces the risk of muscular degeneration, the leading cause of blindness in adults 65 years of age and older. Avocados contain 3 or more times as much lutein as found in other common vegetables and fruits. 6) Rich in Oleic acid and Potassium — Both of these nutrients also help in lowering cholesterol and reducing the risk of high blood pressure. 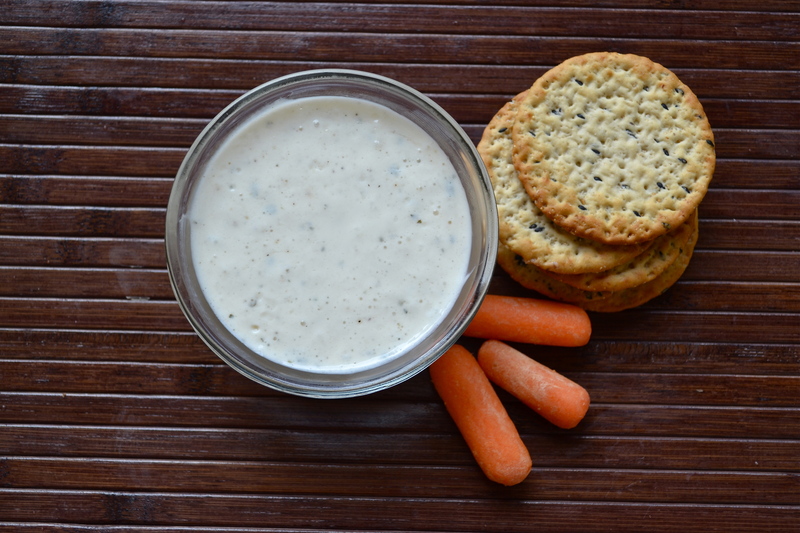 We all love that creamy dressing, whether on a salad or as a dip for carrots and other veggies, but we also know we aren’t feeding our bodies very great nutrition while having it. That is why I had to buy it when I found it. You may ask buy what? A big container of Ranch Seasoning Powder. Nothing too bad in the powder, it’s what the directions say to mix it with that’s the bad part! Mayonnaise? No thank you. The funny thing is, even when substituting something else for the mayonnaise, it still has the same great flavor. And guess what? it isn’t only just good for healthy dressing, but serves as a great seasoning for almost anything! Chicken, veggies, even quinoa like I did with this recipe in another post! 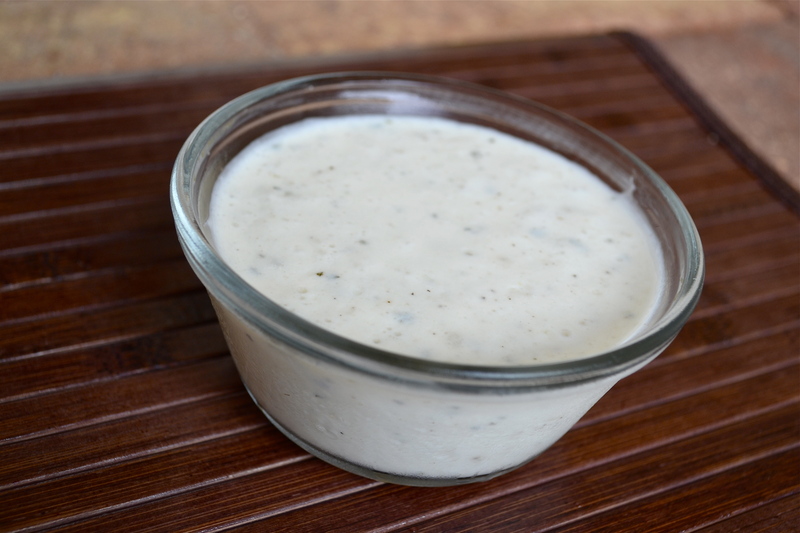 If you like the flavor of ranch, you should certainly invest in some of this. And if you don’t want a big container like mine from Costco, then they sell mini paper packages of a couple servings at most food stores! Directions: Mix all ingredients together. Let sit in fridge to thicken. Serve as a dressing or dip. Easy enough?! Tip: For dip or a thicker dressing, use all Greek Yogurt and no milk!